The systems that ZIPS has in play are great. It allows us to run the same no matter how busy we are. If you follow that system that they have in place for the garments and for each section in the back, you can't mess it up. You could not have told me three years ago that dry cleaning was this hot of a business. I will break into a new market with ZIPS anywhere because I think it's such a strong business model. ZIPS Dry Cleaners is known for our same-day, one-price business model. We charge just $2.49 or less per garment - that's 60 percent less than the industry average - and make good on an "in by 9, out by 5" promise every day. 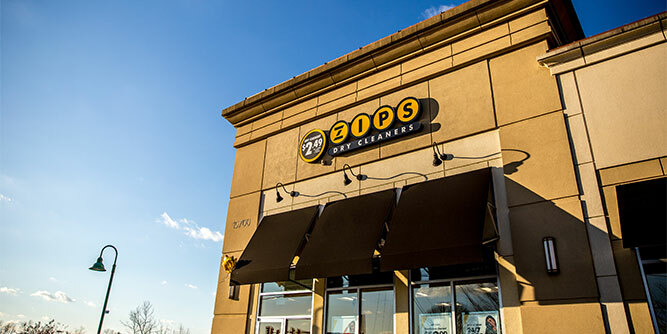 Entrepreneur Rated ZIPS the #1 Dry Cleaner Franchise in 2018. And that's not just because of our impressive $1.1 million average unit volume (FDD 2018) and four revenue streams. See why multi-unit and multi-concept franchisees are claiming exclusive DMAS, and fast. Franchising with ZIPS Dry Cleaners means no barrier to entry. Here's why: 98 percent of the highly fragmented dry cleaning industry is made up of single-store operators who pale in comparison to ZIPS Dry Cleaners. Our mom-and-pop competitors don't have the resources to keep up with our unbeatable price structure, high-volume demand, perfected operational systems or high-end branding materials. Streamlining every task from customer check-in and check-out to sorting and tagging simplifies day-to-day operations for everyone - customers, employees and franchisees. We've perfected dry cleaning and help our franchisees do the same with one of the most hands-on, comprehensive training programs in franchising. Benefit from classroom-style and practical learning exercises. Plus, our highly engaged Home Office team is readily available throughout every franchisees' journey, ensuring everyone stays on track with production and profit goals. Looking for more information about ZIPS Dry Cleaners? Take a moment to fill out our quick information request form.